The Royal Canadian Mint was the first world mint to commercially produce 99.99% pure gold. Although this makes the coin “soft” and is more easily damaged, this innovation gave the Gold Maple Leaf instant recognition when it was introduced to the bullion coin market years ago, and it remains one of the most well recognized and sought after bullion coin in the market today. 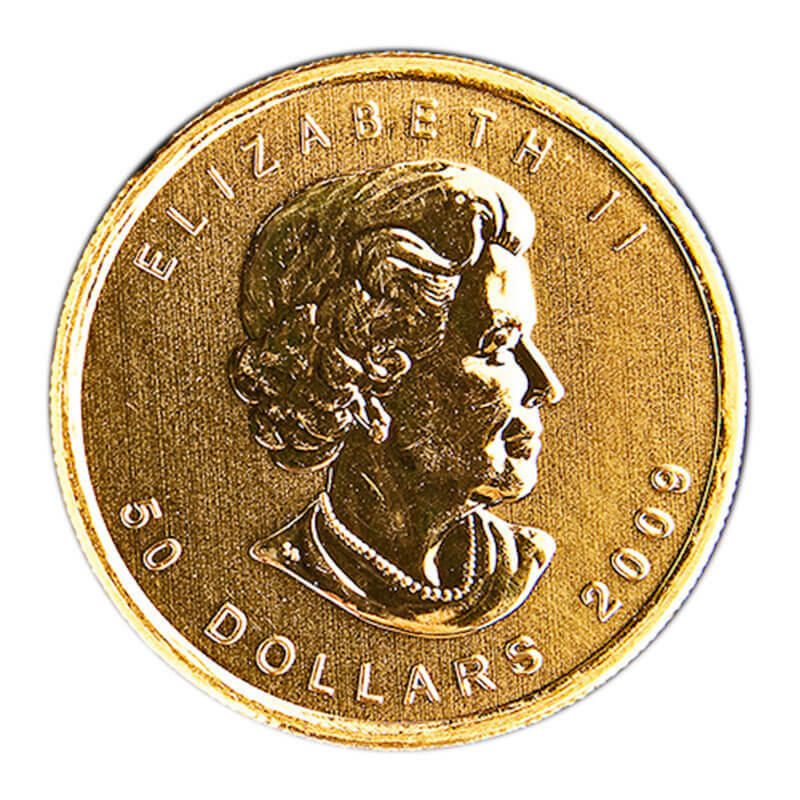 Made of 99.99% pure gold, Gold Maple Leaf coins come in five sizes ranging from 1 oz. to 1/20 oz, (smaller sizes are often not available).